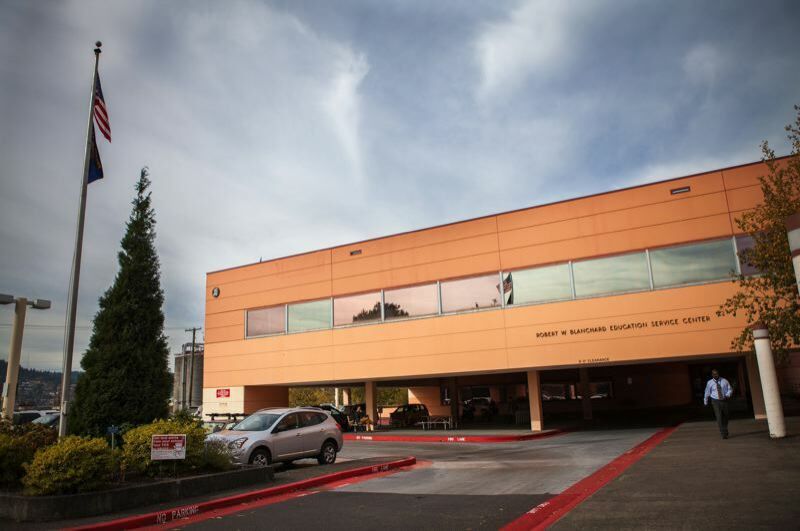 Changes could still be coming to Rose Quarter area facility as school district explores its options for the desirable property. The group trying to bring Major League Baseball to Portland announced Wednesday that it has formally retracted its offer to purchase the Portland Public Schools' headquarters near the Rose Quarter for a stadium. The Portland Diamond Project said it was not pursuing the Robert W. Blanchard Education Service Center across Northeast Broadway from the Memorial Coliseum because it supports the community-driven Albina Vision Trust concept to fully redevelop the Rose Quarter as a vibrant mixed-use neighborhood. "Although we were initially drawn to this property for its close-in location, access to transportation and its potential to be transformative to the east bank of the Willamette, it became apparent to us that the Albina Vision Trust's board of directors has a long-range plan for the building and the immediate area that will serve the overall community in a very meaningful way," PDP founder and CEO Craig Cheek said. "Albina Vision's focus on diversity and social equity is aligned with our mission, and we are putting our full support behind it." The group said it will make an announcement regarding optioning other properties for a ballpark within Portland's city limits in a few weeks. One location known to have been discussed is the adjacent Terminal 1 and Terminal 2 properties along the Willamette River in Northwest Portland. Terminal 1 is owned by the Port of Portland but underutilized. Terminal 1 was purchased from the port by the City of Portland and then sold to Lithia Motors several years ago. Some changes could still be coming to the PPS facility at 501 N. Dixon St, however. "Our core mission remains focused on providing all of our students in Portland Public Schools with an excellent educational experience," Superintendent Guadalupe Guerrero said in a statement. "Our centrally located headquarters is a highly attractive site for potential future development, and we will continue to evaluate any future opportunities that support our school system's goals and better serves our community." The district is working with Cushman and Wakefield and Leland Consulting Group — who relocated the Northwest Natural Gas headquarters — in its decision-making process. The baseball group sent PPS an $80 million offer to buy its 10-acre lot in April. The interest sparked an ongoing process to evaluate the property and its potential as a real estate asset. The Blanchard Educational Service Center opened in 1980 and cost the district about $2.5 million to maintain in 2017-18, according to an Oct. 9 report on the district website. The group also explored purchasing ESCO's Northwest Portland headquarters, which was subsequently sold to a group of private real estate investors. According to the group, the Albina Vision Trust "seeks to honor the neighborhoods' past by transforming what exists today into a socially and economically inclusive community of residents, businesses, artists, makers, and visitors. 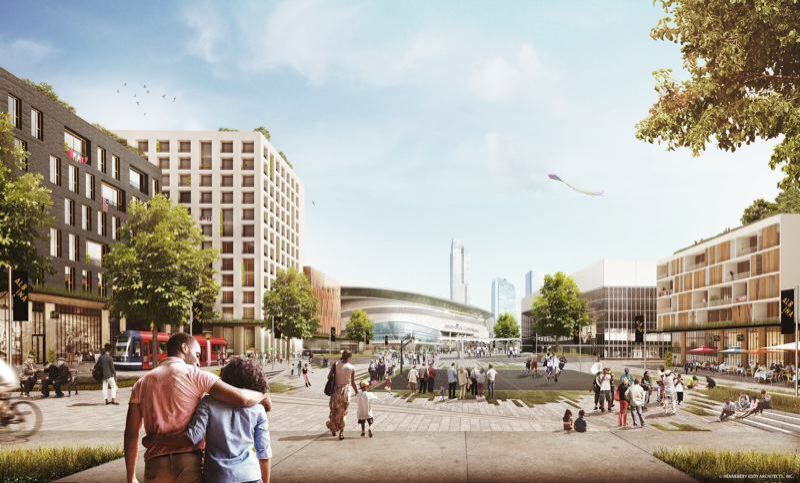 This vibrantly diverse community would be anchored by intentionally conceived parks, plazas, combined with civic and cultural event spaces of different size and use, seamlessly connected to the river and its surrounding neighborhoods." You can read a recent Portland Tribune stories about future redevelopment in the Rose Quarter at tinyurl.com/yb4tuwvz.